iiViva Habana!! 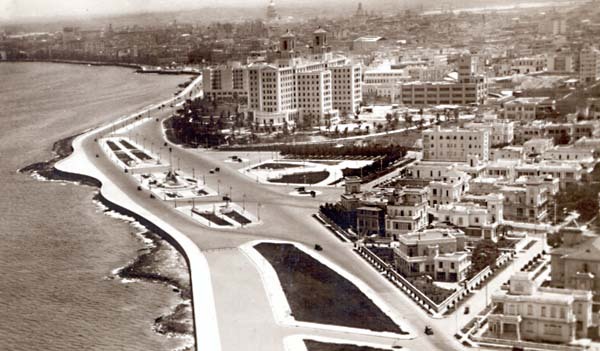 We're back again in beautiful Havana, Cuba, this time live by the exciting new media of Television! Things have grown since we last visited, but one thing is the same: the beautiful beaches, music, dances, and women! With regular flights from across the American east, Havana and its exciting cantinas and casinos is just a few hours away. And now, with the power of television, it can reach your own livingroom instantly! We're transmitting from the ballroom of the fabulous Hotel Nacional, accommodations provided through some good friends of my late friend and producer Ben Siegel to which this special presentation is dedicated. And they assure me the dangers posed by the small band of Commie bandits are vastly overstated, so hop on the first TWA or Pan Am Connie and come join us! And yes, what you're watching now is LIVE!! Who knows what could happen! Tonight, the Cuban sensation that's sweeping the nation, who married our very own lovely Lucile Ball, Desi Arnaz! And if you like them here, stay tuned, because they'll soon be wowing the airwaves with their own television show! They make such a perfect couple, don't they, folks? Tonight, live on this cha-cha-channel, they perform the exciting Cuban Pete! And for tonight's libation, one you fine folks can make at home from ingredients you probably have right now in your Frigidaire, the Cuba Libre! A drink created in honor of Teddy Roosevelt and the liberation of Cuba from Spain! And...isn't that nice, we're even receiving a call from a nice man named 'Fidel' who plans to join us to toast Cuba's Libre very soon (is he a friend of yours, Meyer? Charlie?). Squeeze lime into a Highball glass. Add ice. Add rum and top off with Coke.